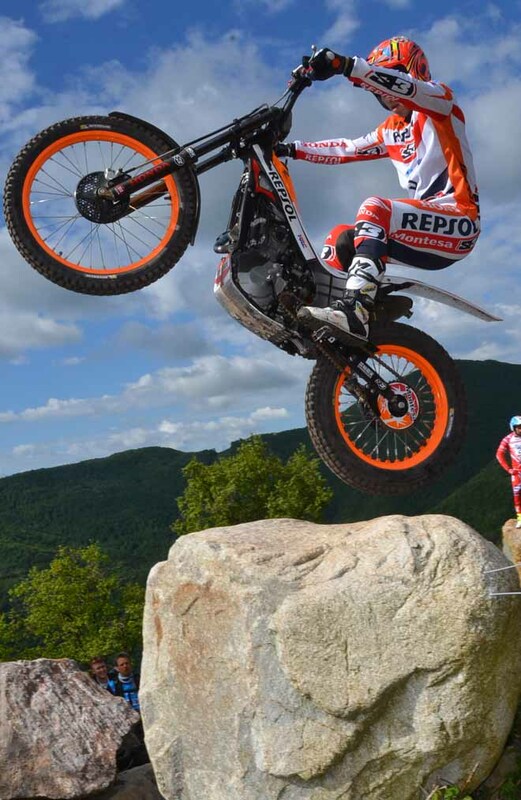 Reigning champion Toni Bou - Repsol Honda took a clear-cut win at the opening round of the 2017 FIM Trial World Championship at Camprodon, Spain. 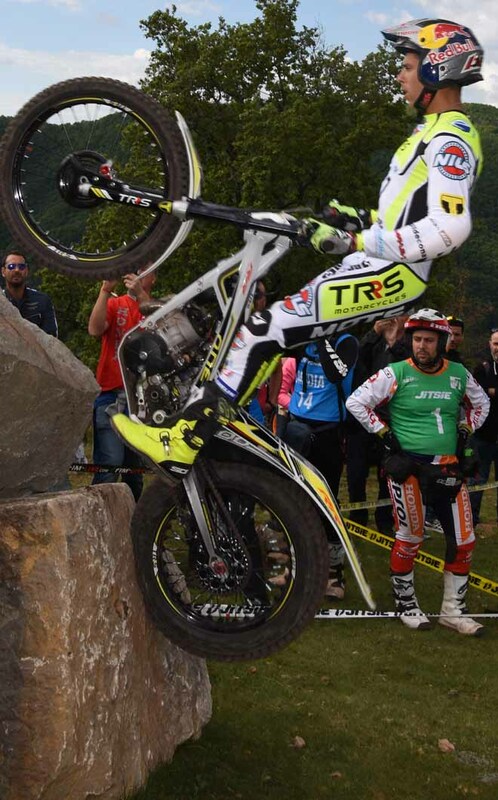 The Spaniard, attempting to win an amazing eleventh consecutive TrialGP title, kicked off the defence of his crown with a twelve-mark win over compatriot Adam Raga - TRS. Albert Cabestany - Sherco made it an all-Spanish podium in third, twenty-six marks behind Bou. After starting the morning in bright sunshine, a thunderstorm halfway through the opening lap changed the complexion of the sections. This allowed Cabestany, an early starter following problems in qualification, to go into the second lap with a one-mark lead over Bou and two marks ahead of Raga. On the second lap, with intermittent heavy rain and a hail storm making conditions treacherous, Bou was quite simply untouchable. As his rivals struggled to match their first lap performances he put on a masterclass of his technique, incurring just one maximum and reducing his opening lap score by ten to finish on a total of forty-six. "It is the perfect start," says Bou. "There's always pressure at the first round but I've taken the win and I'm very happy." "They were very difficult conditions after the rain arrived in the middle of the first lap. It changed the sections a lot, but it was better for me on the second lap because it was harder with the more difficult conditions." "Always it is difficult even after ten years, but this is how it needs to be to win my eleventh title and I'm happy to win in this paradise for Trial." Spain's Jeroni Fajardo - Vertigo was fourth on eighty-four, one mark ahead of Japanese rider Takahisa Fujinami - Repsol Honda. The other big name forced to start near the front after a poor performance in qualification, Fujigas also benefitted from the downpour on lap one and escaped with a single mark on section thirteen where Bou, Raga and Fajardo all picked up maximum scores on their first visit. Jorge Casales - Beta finished sixth ahead of fellow Spaniard Jaime Busto - Repsol Honda. After finishing the first lap in contention in fifth, Busto's dream of a debut podium evaporated on lap two with nine fives. Recovering from a poor opening lap, British rider James Dabill - Gas Gas climbed back to eighth with Spain's Miquel Gelabert - Sherco and Italian Matteo Grattarola - Gas Gas rounding out the top ten. 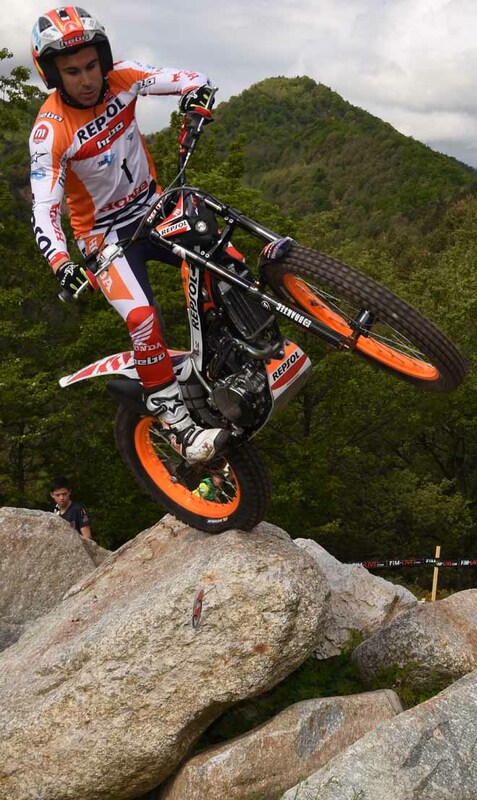 In Trial2 it was Spaniard Gabriel Marcelli - Honda who claimed a narrow one-mark win from British rider Iwan Roberts - Beta with Italy's Luca Petrella - TRS third a further six marks back. A lowly eighth after the opening lap, in worsening conditions Marcelli managed to reel in the leaders and finally moved ahead with just three sections remaining. 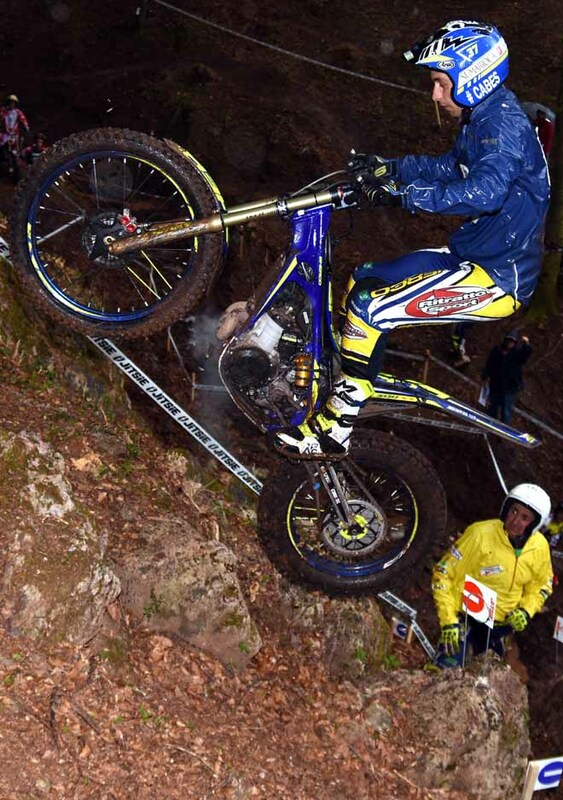 The Trial125 class saw Italian Lorenzo Gandola - Scorpa take a five-mark win from Britain's Billy Green - Beta with French rider Hugo Dufrese - Gas Gas two marks further back. Leader after lap one, Gandola struggled on the second circuit as Green fought back from fifth with a series of impressive rides. After a wet and testing opening event to the TrialGP era, the new look series heads off to Japan next for round two on 27/28 May.